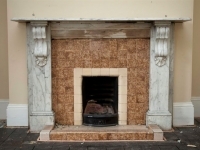 Ryan & Smith were asked to restore this Carrara marble fireplace to its original glory. 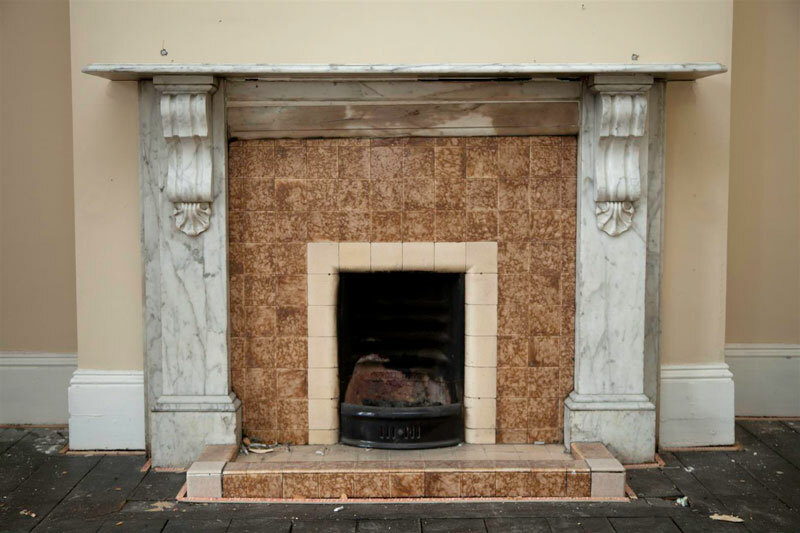 The chimneypiece was situated in a large Victorian terrace house in Dublin, which had been listed as a protected structure. 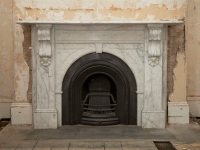 The fireplace had been extensively modified during the 1960s; the occupier had removed the marble arches, cast iron insert and slate hearth to install a modern tiled insert and hearth. Our challenge was to reproduce the marble arches to the correct design, for which we had pictorial reference for. 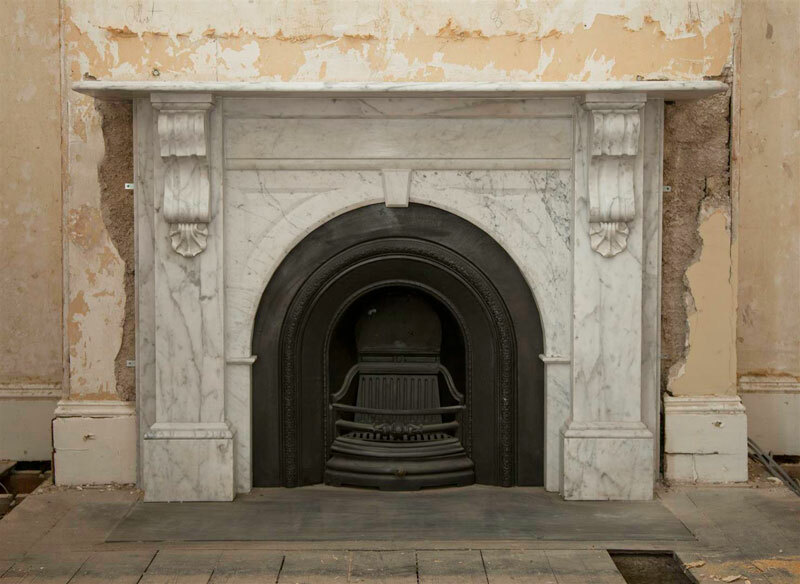 We used reclaimed Carrara marble that matched the original perfectly and carved the two missing arches. The entire fireplace had to be taken apart, cleaned and polished. We then reinstalled the fireplace with a period Victorian cast iron insert and slate hearth recessed flush into the floor boards.